Join US and do... Don Jitsu Ryu.. 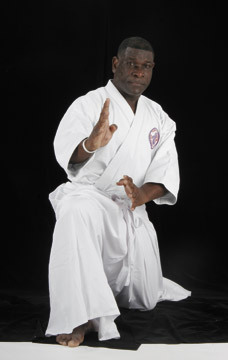 The Don Jitsu Ryu System was developed by Grand Master Professor Don Jacob over 5 decades ago. He was Born in Trinidad, now holds a 9th Degree Black belt and is one of the most well known and respected Martial Artists in the world today. Don Jitsu Ryu is one of the most practical and complete Martial Arts fighting systems. Modern in concept yet ancient in orgin, it is unique and blends well with many of the traditional Martial Arts Styles such as Karate, Kung Fu, TaeKwonDo, Judo, Jiu Jitsu and Weaponry. This has which has established it as one of the world's best lifestyle fighting systems. Learn Respect for self and others. Students must earn their ranks. Family oriented to support positive parenting. 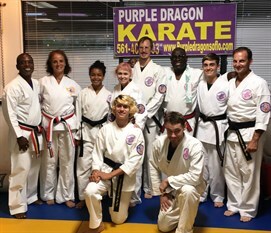 Purple Dragon Karate women speak out. © Purple Dragon Karate Inc.